All the batteries we sell are guaranteed fresh, fully charged, ready to install and carry a full one year warranty. 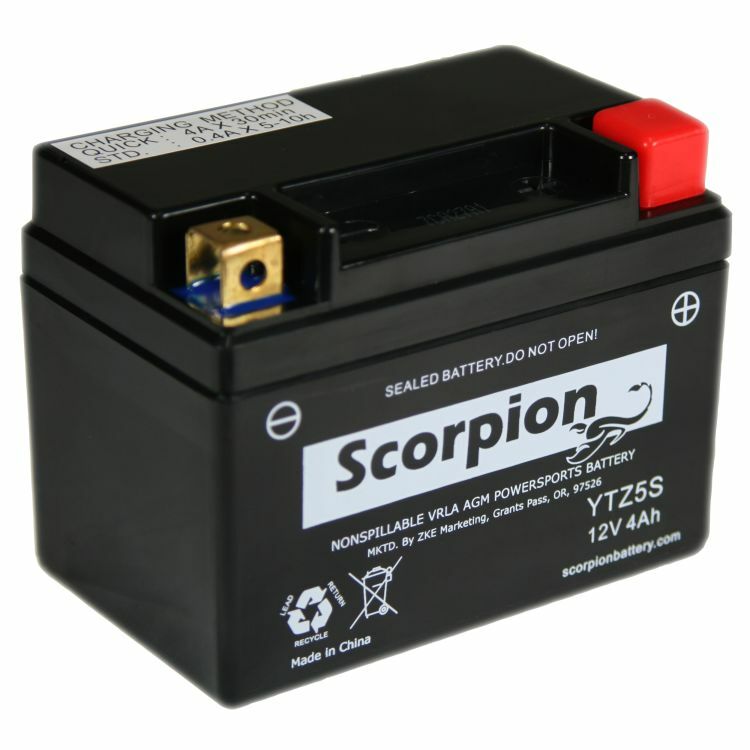 Don't be fooled into buying an old stock, undercharged battery from a discount reseller online. BatteryStuff knows batteries, and guarantees every purchase! 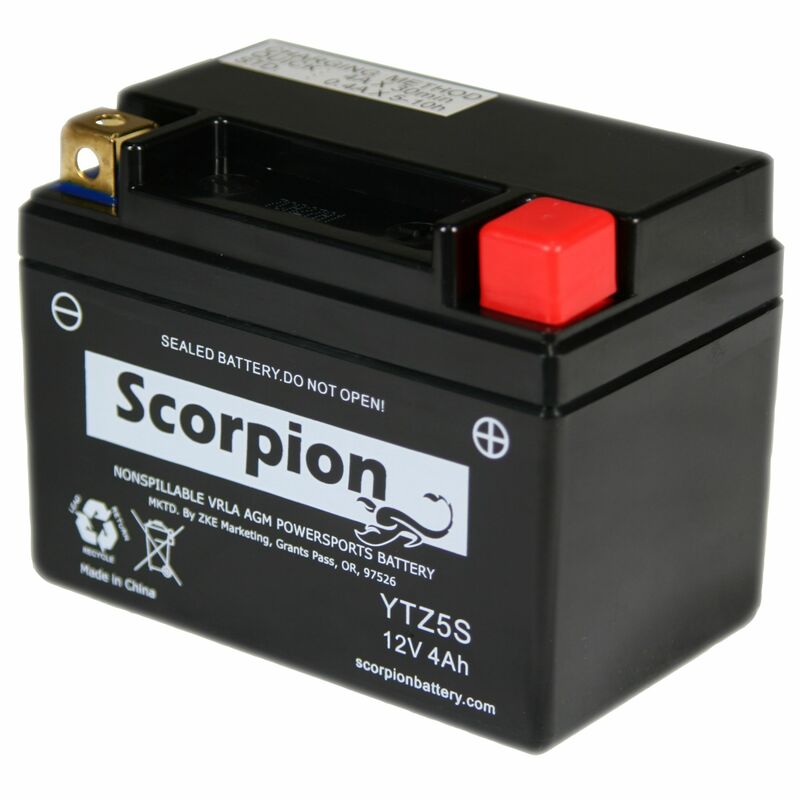 sYTZ5s High performance battery by Scorpion Battery. These are no ordinary replacement batteries, but a true high performance AGM battery that is designed to meet and even surpass the standards set by your vehicle’s OEM manufacturer. By continually updating and modernizing their manufacturing process, the makers of Scorpion batteries have achieved a position in the Powersports industry that is unrivaled around the world. Be assured that with the YTZ5S Scorpion 12 Volt AGM Maintenance Free Battery you are buying quality, at an affordable price. 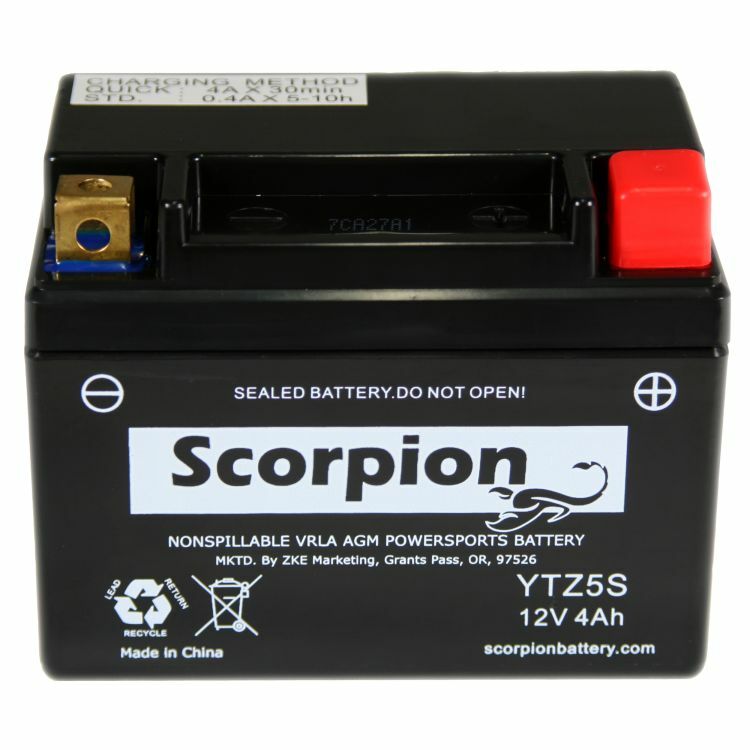 sYTZ5S Scorpion Battery recognizes that batteries are made of lead, not gold. With that in mind, GS Battery has struck a fine balance between a high quality product and a decent price. You will be impressed! All GS Battery GTZ5S batteries meet or exceed the specs called for by your powersports manufacturer! Rated 4.78/5 Stars from 9 customer reviews. Do you own the sYTZ5S? Please, tell us what you think about it. It helps us provide you with better products. Please note that it may take up to 72 hours for your review to appear. Pros: great battery, excellent service, prompt delivery, great tech. staff. Pros: What's not to like? Good price fast shipping and the battery actually worked. As a first time customer, I'm confidently recommending these folks to anyone in need of motorcycle batteries. Pros: battery works great, fit perfect, shipping fantastic. Battery is all that was expected for new installation. the size specs. were a great help, and battery stats were a major factor in buying. Thanks for the tech. help with charging applications. will definately recommend batterystuff to future customers. Pros: seem to last longer than lead acid batteries. I recently purchased a battery for my 1998 KLR250 that failed within a month, and BatteryStuff replaced it for free without any hassle … great customer service and they stand behind what they sell. Pros: This is probably my 4th or 5th battery purchase from Batterystuff (I have 9 motorcycles). Quick shipping and good products. Don\\\'t waste your time with another vendor.